We, the Teen Council for the City of Gulfport, Florida, promise to work to better our community by volunteering our time and talent. We will dedicate ourselves to being the voice of young people in Gulfport. We will show respect and kindness to all and work to be role models in our schools and community. A great asset for your resume! Provide youth recommendations to the City Council. Provide suggestions and assistance for city-sponsored events. Gain valuable community experiences by attending state and national conferences. Participate in community service projects by representing the best of the City’s youth. If interested in joining Teen Council, please email Marivel Gutierrez at mgutierrez@mygulfport.us or visit the Gulfport Recreation Center located at 5730 Shore Blvd. S. for an application. 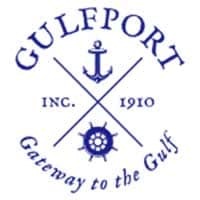 The Gulfport Teen Council advises and makes recommendations to the City Council on equipment needs and budgetary considerations for the city’s parks and recreation programs; provides recommendations, suggestions and assistance with youth events for city-sponsored festivals and programs; organizes and performs service projects which benefit the Gulfport community; holds and/or participates in fundraisers within the city in support of the Teen Council; establishes a Teen Scholarship Program; and establishes an Outstanding Youth Recognition Program. The Teen Council has seven (7) regular members and three (3) alternate members, aged 13 to 19. Terms are for one (1) year and run currently with the school year.